Mens Pleated Trousers by Younger. When the world is your runway, there’s no place you won’t look stylish in these shiny mens pleated trousers. Featuring stunning pleated pants on silky black fabric with slight stretch. Constructed with side pockets, button and zipper fly, and belt loops. Mens pleated trousers include faux drawstring tie for a designer jogger look. 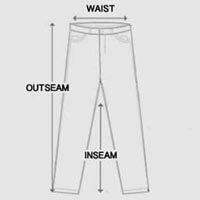 Bottom of pants designed with elastic hems that fit snug at the ankle. Slight stretch at the waistband with elastic at the back only. Incredibly detailed trousers with skinny string applique at the pockets. Get the elegance of designer style in these shiny mens pleated trousers.